Garbage and recycling is picked up on Monday. Be sure to have your refuse out early. Monday holidays will cause the pick up day to be on Tuesday. Tuesday September 3rd Labor Day THESE ARE THE CHANGES DUE TO A HOLIDAY FALLING ON A MONDAY. 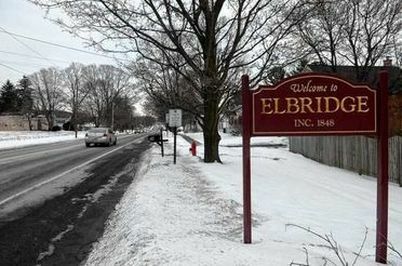 The Tax Freeze/Government Efficiency Plan submitted by Village of Elbridge has been approved by the New York State Division of the Budget and will be forwarded to the Department of Taxation and Finance. * BRUSH PICK UP WILL BE THE 2ND & 4TH TUESDAY OF EVERY MONTH FROM APRIL 10TH - OCTOBER 23RD 2018. Military Tribute banners are back. Click here for more information.